By far, this is the best lip balm I have used and there have been many. Provides perfect deep penetrating moisture. I use this during the day in place of lip color, adds just the perfect amount of gloss when applied over the lip crayon and I love using this as a deep moisturizer overnight. Great product. The lip balm is the 2nd item I've ordered from Dr. Haushka and am very pleased. It's moisturizing without being greasy. I like this product because the lib balm doesn't dry up after applied and it keeps the lips nice and moist. Would recommend this product. I experienced no benefit over cheap lip moisturizers. My lips love it. It's a good primer, doesn't leave the lips greasy, but is very moisturizing. I haven't used it long enough to see if it actually "renews" the lips, but for the short-term it does its job. 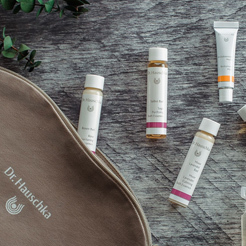 I was introduced to Dr. Hauschka products when I went to a little spa for my first facial. I was hesitant to purchase this little pot of lip balm from there at first because of the price tag. But I did and now I am hooked. I love it and I'm never without it. It feels great on and I believe it gives my lips a youthful appearance. This is the best lip balm ever. I am older and use it above my lips also for lines. This balm is my favorite for dry lips. I love this lip balm so much, it soothes my dry lips and is absolutely amazing! Truly a little pot of gold for the lips! I had my doubts when I started using the Lip Balm, but it has cured my dry cracked lips. Wonderful product. This is an amazing product! I use it at night before bedtime mostly. When I wake up my lips are conditioned and not dried out. Love it! This lip balm is great. It has a thicker consistency and has yielded noticeable and beautiful results in the few weeks that I have been using it. It seems to both moisturize and restore my lips to a fuller and healthier look. The longer you use it, the better your lips look. I ran out once, I never want to run out again. this is my second order of this very emollient, perfectly textured lip balm. This is the best lip moisturizer ever! Makes my lips feel so soft. It smells nice and moisturizes well. I live in a very dry climate and always have dry, chapped lips, and this stuff is a miracle. Goes on soft and smooth and I can't get enough of it. Only regret is that the mouth of the container is so small and I have small/average size womens fingers, Other than that I Swear by this to soothe and hydrate my lips any time of year without feeling heavy. the light lovely smell and slight shine are a sensory plus. I use this balm every night! My lips feel so soft by morning-would definitely recommend. I use this product at night as part of my nighttime routine. I use it liberally all over my lip area and it has helped to soften the appearance of fine lines tremendously. You need clean fingers to apply this. I have used this longer than any other Dr. H product. Nothing hydrates my dry lips like this. My mom and I have both insanely dry lips. After we tried the sample of this at Whole Foods, we fell in love with this lip balm right away. This is my mom’s favorite lip balm and she said this one is the BEST! She uses this before she goes to bed each night, and the lips don’t dry out. The only bad thing is that you need to use your finger unless you don’t have lip brush. After reading a few reviews I had high hopes for this lip moisturizer. I do like it - it is a very tiny pot however. I have very dry lips - I'm outside a lot and seem to have cracked sore lips all winter. This helps but quite spendy for what it does and how often I need to apply. I've rebought this lip pot several times. It feels amazing on your lips. I use it every night before I go to bed. It's wonderful. I wish there were more product and less excess glass in the jar. The best Lip Balm I ever used. This lip balm is truly the only lip balm that works ! It keeps my lips hydrated and a very little goes a long way. Love this product. I have been using this product for more than a month from now. I felt so pleased with its natural scent and its non-greasy texture. It helps smoothing and calming my chapped and severely dried lips. It made by 100% natural ingredients so it is safe to wear it before and after I eat. The only thing I didn't like is that I have to use my fingers to apply on my lips which makes it less convenient. I have tried multiple natural brands for my lips and except for Dr. Hauschka's lip balm, they all dry out my lips instead of moisturizing them. This lip balm is protective without being too thick or gooey, moisturizing and smells great! It did not keep my lips hydrated at all. This product is the best on the market for helping chapped lips due to dehydration. I like this hydrating lip gloss but the smell is a somewhat strong but it goes away fast that's why I gave 4star but I'll repurchase yes.. Lip balm is the best product for chapped lips I have every used. In the dead of winter when my lips cannt get any drier, cracked all it takes is one application of lip balm and I have instant relief after 2 application my lips are completely healed. My husband has the same results. I call it my miracle product. Got this as a present and I am in love! My lips feel amazing and look shiny without that icky sticky feeling. I've been using it for years--it's the highest quality lip balm I've seen anywhere. Apply a small amount to lips as needed. To reduce premature wrinkling, apply around entire mouth area. 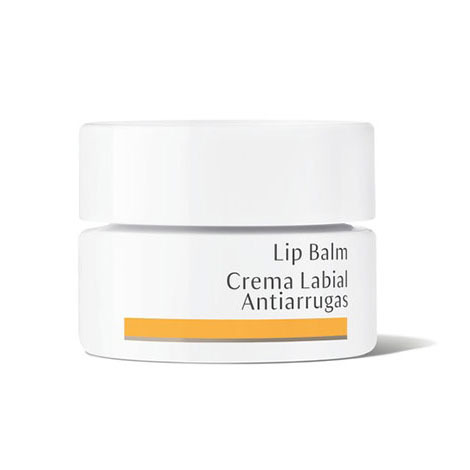 The lips are composed of mucous membranes so will benefit from nighttime application. For touch-ups and extra protection use Lip Care Stick throughout the day.